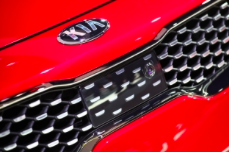 Kia and Hyundai Motors have entered a new pan-European strategic partnership with Vodafone to provide customers in the UK and across Europe with fully-connected in-car infotainment and connected car service. The strategic partnership enables both car manufacturers to tap into Vodafone’s technical expertise, and offer connected in-car infotainment services to their European drivers. Kia and Hyundai will use Vodafone’s IoT network to deploy their proprietary service across Europe, enabling customers to benefit from the latest in new telematics technology. The new infotainment system will launch on selected new Kia and Hyundai models in Europe from 2019. The system relies on embedded connectivity provided by Vodafone to make life easier for vehicle owners. The services include up-to-the-minute traffic information, parking and location services, vehicle diagnostics and voice control. The system works in parallel with Android Auto and Apple CarPlay to deliver seamless smartphone integration and access to users’ favourite apps. “This strategic partnership will enable us to offer many more drivers maximum connectivity at the wheel, supported by a comprehensive European data network. The system will launch across Europe next year with the arrival of upcoming Hyundai and Kia models, meaning customers will have the most accurate and relevant information at their fingertips,” said Jungsik Suh, Senior Vice President of ICT Division at Hyundai Motor Group.